SMEs are a very important part of the Nigeria economy and contributes a much higher proportion to the GDP of the nation, although faced with the challenge of maintaining business longevity due to poor financial management which can be linked to lack of accountability, majority of these businesses do not operate a proper accounting system that enables them to make informed business decision. It is, therefore, safe to say that a lack of financial education in business can lead to poor management skill, poor budgeting, lack of business information and poor decision. 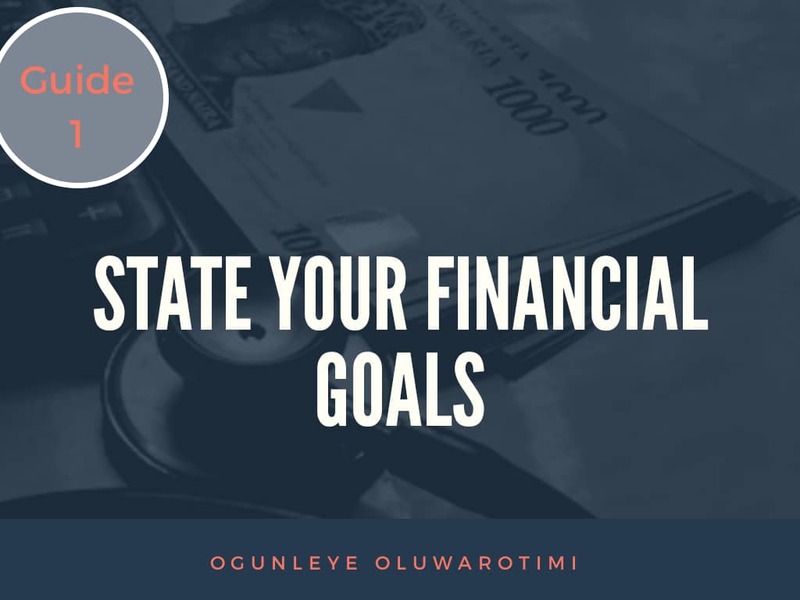 Guide 1: state your financial goals: Start by drawing up your financial plan that clearly states your business financial growth with specific timeline and targets. For example, Funke is looking at growing her food business by 12% in 4 months of conception (Goal and Objectives). She aims to achieve this by introducing a new food menu targeting fitfam customers alone (strategy to adopt). As Funke's financial advisor, I will be concerned about the availability of financial resources at her disposable in achieving this goal, how she can source for or meet the financial resources and then monitor her daily/weekly sales to know if the strategy adopted is bringing the desired result. Do you currently have a financial plan for your business? And how frequently do you seek advice from your financial advisor? 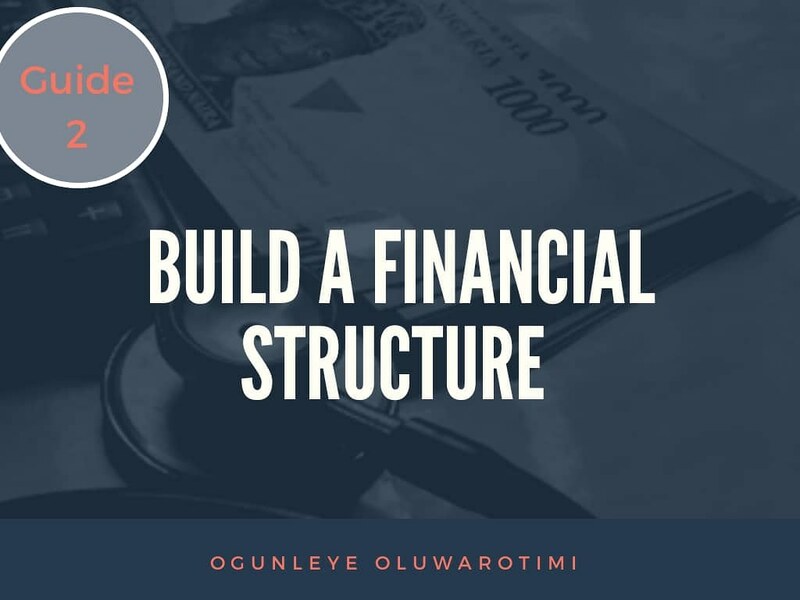 Guide 2: build a financial structure: This aspect is operational. Your financial structure deals with the day to day financial activities of the business. You need to clearly state how payment will be made, when invoice is issued, if payment should be made by cash or transfer, timeline for every payment, who should be Signatory to the account, who should be the approving officer before an expense is incurred etc, In summary, this guide is concerned about every area related to the dealing of cash in the business. Imagine Kate giving a receipt to customer A and not giving to Customer B because she didn't "feel" like. There is clearly no structure in her financial dealings. Are you like Kate? 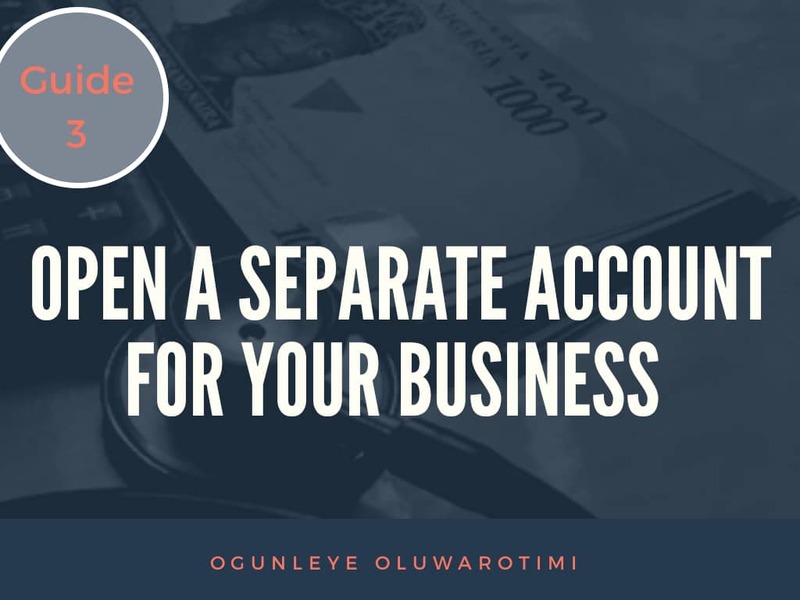 Guide 3: Open a separate account for your business: Now you know that there is a clear difference between your money and your business money, ensure that you open a business account using the business Name. Never use your personal account for your business transactions because most times it becomes difficult to reconcile your books after a period of time. Do you have a separate account for your business? 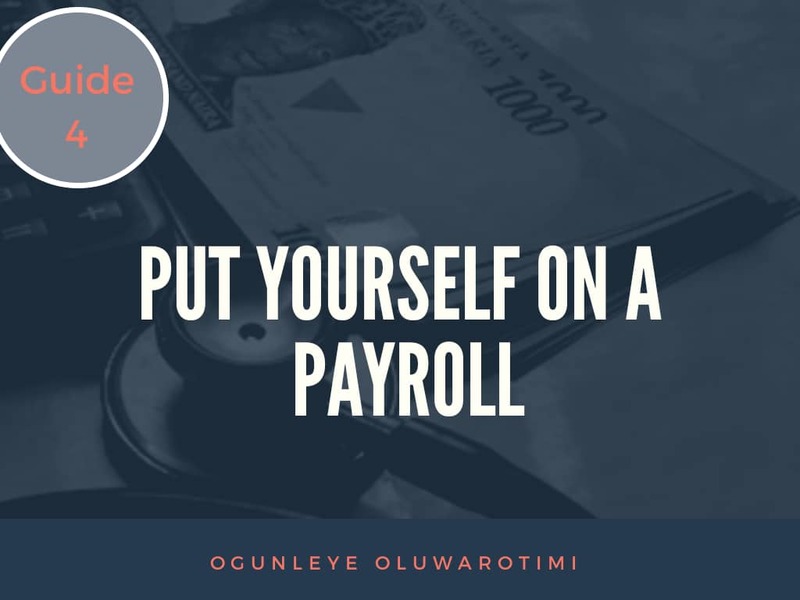 Guide 4: put yourself on a payroll: Many entrepreneurs are guilty of this? As a business owner, You have to clearly start how much your business will be paying you or state the percentage or commission on service render or sales. Do not spend more than the stipulated salary unless it has been carefully reviewed. Also, being on a payroll helps you to know how well your business is doing. Are you on a payroll for your business? 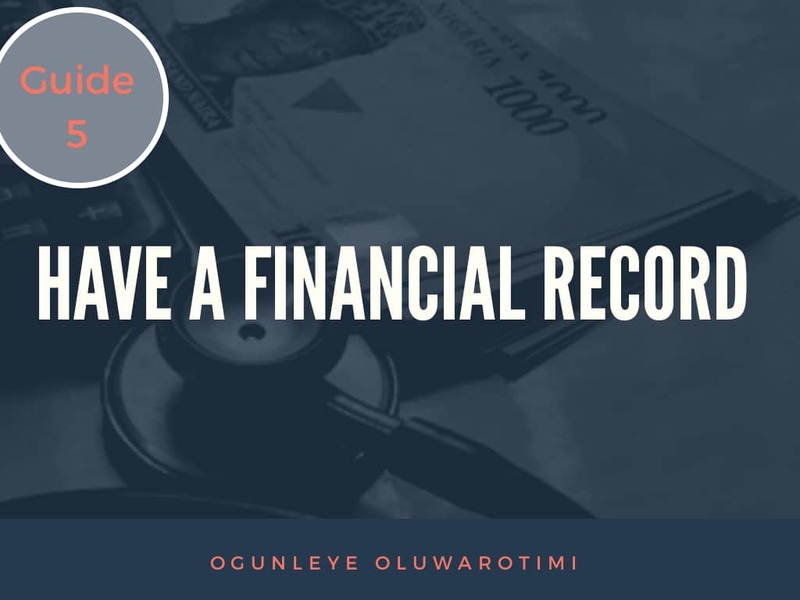 Guide 5: have a financial record: A business that does not keep a financial record can never achieve its financial vision. A financial record makes you accountable and transparent. All activities in terms of money spent or received must be recorded for future use. Financial decisions are easy to take once you have your records up to date. How often do you keep a record of your financial dealings?Daily , Weekly or Monthly.